Fans of Argentine auteur Lucrecia Martel’s The Headless Woman (2008) have had an agonizingly long wait for her follow-up film, Zama, and the wait, we’re pleased to announce, was well worth it. Adapted from Antonio di Benedetto’s 1956 novel, Zama is historical fiction with a suitably ambitious scale that, in Martel’s hands, assumes an expectedly enigmatic form from one of this century’s most audacious and original filmmakers. Unfolding in the late-18th-century, in an isolated Paraguay colony, Zama follows the twisting fate of the titular Spanish magistrate, Don Diego de Zama (Daniel Giménez Cacho), who waits in vain for the royal transfer that will reunite him with his far-off family. Zama dazzles in part due to the oneiric lensing of cinematographer Rui Poças (we’re still reeling from his work in 2016’s The Ornithologist), which lends itself so well to Martel’s elliptical, and teasingly elusive style of storytelling. Zama is a sensorial experience, it finds some solidarity with the Western genre, and Martel even displays, astonishingly, an admiration for horror films (Zama ends in a full on fever-dream nightmare fashion), in what is one of the most beguiling and bold films you’re likely to see all year. A tour de force, full stop. With her signature stunningly poetic and image-driven style, the latest from Lynne Ramsay (Morvern Callar , We Need to Talk About Kevin ) is an intense revenge drama adapted from a hard-boiled novella from usually jovial humorist Jonathan Ames (HBO’s Bored to Death). Having already won accolades at the 70th Cannes Film Festival in 2017 (where it received a seven-minute standing-o and brought home the Best Screenplay Award and Best Actor Award for Joaquin Phoenix), You Were Never Really Here finally found its wide release earlier this Spring. You Were Never Really Here is a formally ambitious thriller from one of the most extraordinary and unpredictable talents working today. Ramsay’s approach to elliptical, vivid, visceral storytelling that’s densely layered, character-driven, deadly serious but also darkly comedic, is one of this decade’s (let alone year’s) most compelling cinematic coups. Chloé Zhao follows up her stunning debut Songs My Brother’s Taught Me (2015) with another heart-piercing and elegiac portrait of life below the poverty line in The Rider. Set and shot in the sun-scorched badlands of South Dakota, Brady Blackburn (Brady Jandreau) is instantly compelling and utterly convincing as a once rising star in the rodeo circuit, who sadly suffered brain damage from an accident at a bull-riding competition. Now prone to seizures, and having been warned by doctors he can no longer ride, Brady finds solace and strength through his younger brother Tanner (Tanner Langdeau), who is now a resident in a care facility after suffering severe brain damage from a stunt similar to the one that fucked Brady up, too. 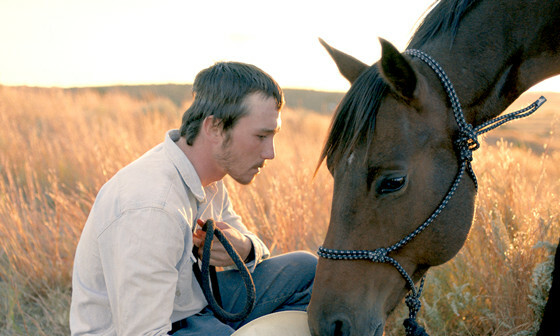 The Rider embraces a sustained poetic melancholy due in part to the gorgeous cinematography (Joshua James Richards, who lensed Zhao’s Songs My Brother’s Taught Me is a wonderful collaborated for this kind of emotive, neo-realist tale), and also from Zhao’s winning use of untrained actors who offer up honest performances of utmost purity. Heartfelt, bracingly sincere, and high-achieving, Zhao’s The Rider is a lowkey social-realist masterpiece. Essential viewing. Heartbreaking and beautiful, the new film from Debra Granik (Winter’s Bone ) is a vibrant study of Will (Ben Foster), an Iraq War veteran suffering from PTSD, and his teenage daughter, Tom (Thomasin Harcourt McKenzie). Together they’ve lived off the grid for years in the forests of Portland, Oregon. Granik, with her cinematic strengths kicked in overdrive (her ability to conjure strong characters and their palpable environs) geniusly depicts an at-risk father and daughter whose idyllic life tumbles down around them as social services pulls the pair apart. 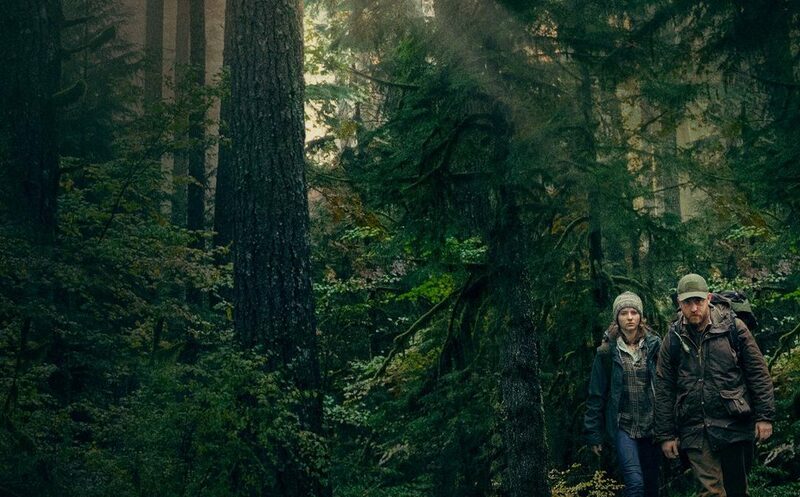 Deepy evocative and incredibly effective, Leave No Trace will leave an indelible mark on the viewer. This is an illuminating, pastorally perfect and refreshing low-key masterpiece from one of America’s finest directors. An unsettling and artfully transgressive tribute to the classic giallo, Luca Guadagnino’s Suspiria (inspired, as everyone knows, by Dario Argento’s 1977 showpiece) isn’t the colorful homage many expected. Sure, it’s a metafictional elucidation of sorts, and there are flashes here and there of Argento’s transfixing original, but in the hands of I Am Love (2009) and Call Me By Your Name (2017) director Guadagnino the fractured, lacerated and luridly suggestive imagery––including the ecstatic and delirious use of dance––gets into your capitulum in ways Argento never envisaged. This is an altogether different beast, but at the same time is extraordinarily complimentary to the original. Guadagnino and screenwriter David Kajganich are faithful to the wider narrative that Argento developed in the Three Mothers Trilogy (Suspiria, Inferno  and The Mother of Tears ), and also explore not just art house modes of frightening aesthetic but also body horror in ways that the Baron of Blood himself, David Cronenberg, would flagrantly approve. Dakota Johnson is mesmeric as the young and hexed American dancer Susie Bannon, transposed to 1970s punk-era Berlin to audition for the world-famous Helena Markos Dance Company. Drubbed by Gothic downpours, the academy is quick to embrace Susie, who is quickly placed as the new lead dancer after lead choreographer Madame Blanc (Tilda Swinton) takes a shine to her. But for what sinister purpose? And why did the now missing student Patricia Hingle (Chloë Grace Moretz) cryptically divulge to her psychotherapist, Josef Klemperer (Swinton, again), her bent belief that the school is run by a cruel coven of witches? Bloodcurdling and cryptic, Suspiria moves with the assured grace of a 24-carat dance picture that will contort into something ferociously gruesome in a heartbeat (the sequence where Susie’s balletic conjury tears apart the body of another student is unforgettable, utterly visceral, and only the beginning of so much more to come). A fever dream of matriarchal madness, the occult, doomed love, and dark secrets, Suspiria is a highly baroque, suggestive, and poetic study of corruption, disturbance, motherhood, national guilt, savagery and so much more. It’s the horror film of the year, and maybe even the decade. The brilliant director Nadine Labaki (Caramel ) takes us to the slums of Beirut where 12-year-old Zain (Zain Al Rafeea, a revelation) lives a neglected life of poverty, planning to sue his parents for “bringing him into the world”, or as he tells the judge straight up: “for giving me life”, and so begins the Cannes Jury Prize-winning social-realist pageant, Capernaüm. Poignant, powerful, and a raw bundle of exposed nerves, Labaki’s film is a masterpiece, and one that brought me to tears more than once. Buttressed by some of the most amazing child actors you’re likely to ever see on the big screen, Labaki’s spectacular melodrama is both compassionate and tragicomic, and has invited comparisons to neorealist legends like Vittorio De Sica and Roberto Rossellini, and it’s fair to say as well that Capernaüm is Labaki’s 400 Blows. Sure to be a milestone as well as a monument to humanity on the fringes, Capernaüm is observantly drawn with warmth and complexity, showcasing a rare mastery. Luminously simple, and lyrical throughout, don’t miss this miraculous little movie. 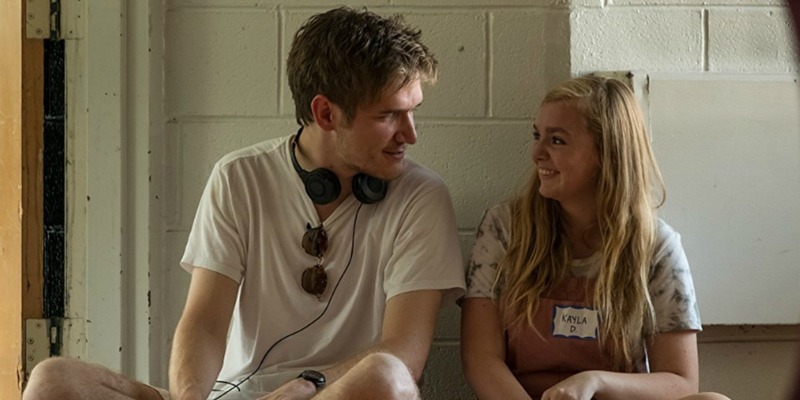 In Eighth Grade, the directorial debut from Bo Burnham, who also wrote the film, the audience almost immediately falls in love with thirteen-year-old Kayla (a flawless Elsie Fisher) as she endures the tsunami of contemporary suburban adolescence during her last week of middle school. That such a simple premise can result in one of 2018’s finest offerings is testament to Burnham’s and Fisher’s genius. Equal parts hilarious and horrific, Eighth Grade is so authentically awkward and painfully honest that is hurts. Teen movies are seldom so good, so earnest, and so reverential. A highlight of the film is a pool party for a popular kid and it lands like lightning, offering up a nerve-racking distressed sequence comparable to the unforgettable Omaha Beach landing that opened Saving Private Ryan (1998), with results that are every bit as soaring. Altogether unmissable, sincere and frequently poignant, Eighth Grade is an absolute prize. “A majestic feat of filmmaking,” writes Globe and Mail critic Barry Hertz, calling Roma “an intimate portrait of a family that also serves as a broad portrait of a changing nation.” And so Mexican filmmaker Alfonso Cuarón, who has given us such wide-ranging popular fare as Harry Potter and the Prisoner of Azkaban (2004), Children of Men (2006), and Gravity (2013) and more intimate, personal work such as Y Tu Mama Tambien (2001) at long last has his masterpiece with Roma. And it’s an abundantly textured treasure at that. 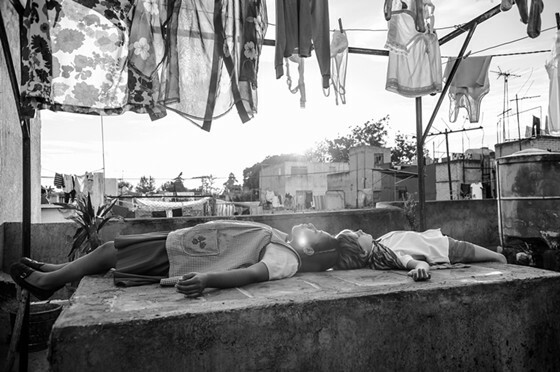 The deserved winner of the Golden Lion at the Venice Film Festival earlier this year, Roma may be the dark horse for Best Picture in the Oscars race as well in a beautifully rendered black-and-white tale (Cuarón also photographed the film) of a household in the middle-class Colonia Roma neighborhood of Mexico City in 1970. Here we get to know live-in maid Cleo (Yalitza Aparicio, brilliant) who tends to four young children. As Clea, whom Cuarón named after the title character in in Agnès Varda’s Cléo from 5 to 7 (1962) not only cares for the children but cleans, cooks, and quietly observes, she witnesses her employers’ marriage disintegrate. Cleo’s own love life, too is fraught and fragile, and the film, which spans a year, depicts both pained and precise events in the shared domestic space, and also too the wider tensions in society at the time; idyll pleasures––going to the cinema, a roadtrip to the country, an initially curious reference to martial arts training from a potential suitor––take on a darkened hue as the turmoil shaping within the country is further examined. A subtly and grace shade these details that eventually pulls us to an unforgettable climax on the beach that is both deeply compassionate and utterly heartbreaking. Enthralling and altogether unforgettable, Roma will be remembered and written about for a very long time. My mind-reeling, I crawled out of the theater after my initial viewing of First Reformed, thinking to myself, “it’s Taxi Driver meets Diary of a Country Priest by way of Ingmar Bergman’s Winter Light, and Carl Theodor Dreyer” and while I’ll stand by that original appraisal, I enthusiastically and dutifully must detail a little more. From it’s brilliant use of subjective camera, and the dazzling 1.37:1 aspect ratio––almost like a religious painting from the Renaissance––First Reform uplifts the mind to the spiritual as writer-director Paul Schrader exhibits the transcendental style he’s always been capable of but rarely it seems, ever extolled. Set in a small town in upstate New York, the First Reformed church is about to usher in its 250th anniversary as Reverend Ernst Toller (Ethan Hawke, absolutely brilliant in a career best performance) begins a diary. Toller’s life in a secular world is darkened by his tortured past that includes the loss of his son in the Iraq War, his numbing and secretive alcoholism, and his failing health, both physical and mental. Schrader’s pared down style is an astonishing feat of strength that’s both lucid and tactile as Toller twists out of control after an anguishing series of encounters with Michael (Philip Ettinger) an excitable and unstable environmental activist, and Mary (Amanda Seyfried), his pregnant wife. Astonishingly unified in both its style and its subject, First Reformed is a glorious and gratifying work of artistry that attains the ecstatic as well as the divine. Schrader has, as in Robert Bresson’s own films, evoked and embodied that Pascalain paradox that God is both invisible but present. And also like Bresson, Schrader lays bare the work of a master filmmaker who is both unflinching social critic, and generous spirit-guide. First Reformed is the film of the year, as well as the capsheaf of Schrader’s (and Hawke’s, while we’re here) long and considerable career. 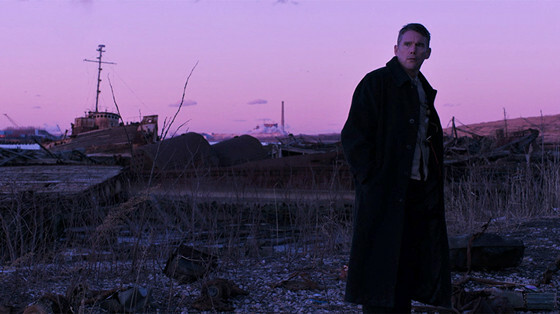 First Reformed is a rare bird; breathtaking, tightly drawn, seemingly out of time and utterly of it’s time. It’s an indispensible, urgent, and otherworldly masterpiece that cuts deep and will dog you for days. And it’s ending will be discussed for decades to come. Don’t miss it.